As the new med school application cycle hits its stride, it can be easy to become overwhelmed by stats and rankings. For example, US News recently posted a list of the med schools that received the highest volume of applications in 2014. Now, a few things: by itself, the number of applications a school received—without any other information (such as the admission rate, the yield, the average GPA/MCAT of admitted students)—is not that helpful. You need to contextualize this data as part of the other information you have about each school. 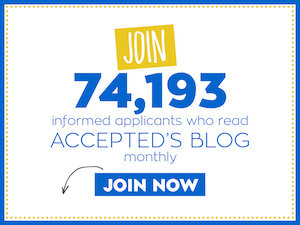 For example, if all you know about Drexel is that it received 14,648 applications, that’s not a lot to go on. If you can add to that the information that 622 applicants were admitted (a rate of about 4.25 %), you immediately know much more. Of those 622 admitted applicants, 260 enrolled. The median GPA of admitted students was 3.59, and median MCAT was 31. Now you have a fuller picture, and you can start to evaluate whether your own scores might make you a competitive applicant. 1. Be realistic about where you are competitive and apply accordingly. 2. Apply to a lot of schools— around 15-20 is reasonable (and more if you’re applying to schools where your scores are less competitive). Medical school is hard to get into! 3. Think carefully about stats and their implications. On its own, application volume doesn’t tell you very much. But when you add information about acceptance rates, yields, and the scores of admitted students, you have more to go on.